If you’re wondering that the Safeguard Trader software is a good trading system, and it will help you in earning some significant profit, then you’re wrong. 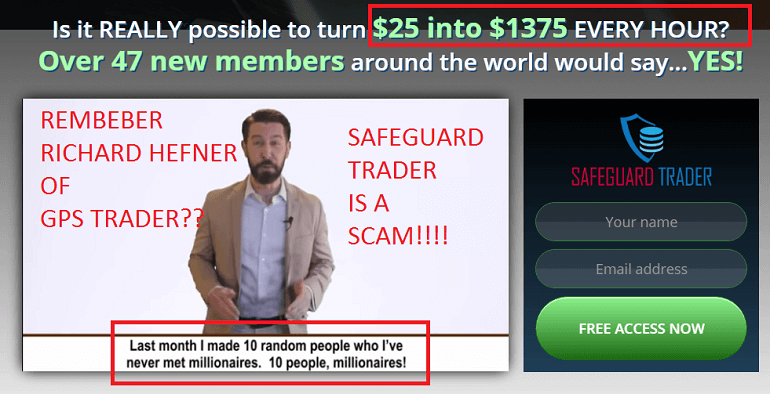 It is another SCAM, and we recommend you to read this SafeGuard Trader review. The presentation of Safeguard Trader is presented in such a manner that anyone who wants to earn money easily and quickly start believing in the promises made by David Hefner. Unfortunately, while we were going deep research on Safeguard Trader, we found that this trading software is a SCAM full of fake promises whose aim is to make a fool of innocent traders. Safeguard Trader software has no algorithm or formula that helps you in winning trades. In reality, it is an automated fake robot who aim is to take your money away from you. 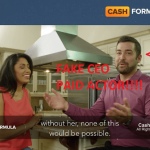 We are feeling sorry for the users who already spent their money in this SCAM, but the guys who are reading this review are lucky as after reading this review you will find the reality of this SCAM trading software. 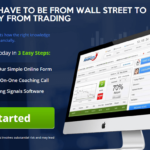 Safeguard Trader is a trading software that assures you $33k in a day. It is created by David Hefner who also call himself CEO of safeguardtrader.co. The software is designed in such a manner that anyone can easily make thousands of dollars in just one day. He also shared that he just want to give an opportunity to ten new users who will become multi-millionaire by the last day of the month. Of course, we also want to earn high profits, but not using Safeguard Trader when we already know that it is SCAM. Even experienced traders who are into this business for a long time will call it a SCAM after reading just above paragraph. We also know that there are users still believe Safeguard Trader is a Genuine and help them in making money. Why is Safeguard Trader is a SCAM? David Hefner, the alleged creator of the Safeguard Trader, who assure you $33k in a day, is fraud guy. Even we don’t need any proof to verify this because a few days back we exposed the trading system called GPS Trader, and so-called Mr. David Hefner was the presenter of that SCAM. In GPS trader his name was Richard Hefner. As we all know the GPS trader was worst SCAM in trading history so there is no point believing Safeguard Trader a Genuine trading system as both the trading program is managed by the same SCAMMER. Like other fake trading software’s SafeGuard Trader is also using confined spots available strategy on their site safeguardtrader.co. The aim of adding this into this trading software to attract more users toward Safeguard Trader. In this trading system, David Hefner needs just ten users that soon will become a millionaire. Unfortunately, from last three days, we were tracking this trading system and found that more than 15 users already reported that they had been scammed. If ten spots are available, then where these new five users invested their money? We have already shared lots of reviews of the binary options trading software’s but no one assures you this much in just one day, then what special they are doing, that other trading system failed to do? 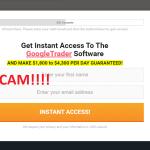 Safeguard Trader is a SCAM and due to this reason, they are offering this much amount so that more users create an account on this fake trading software. These fraudsters know that there are users who want to become rich overnight and these offering work as bait just like we use peanut butter to caught mice. We have already exposed the GPS trader in our previous reviews who is also managed by the same user but with the different name. 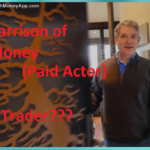 If you check the pitch video, there is a screenshot showing that he has 52 million dollars in the accounts and now if you look at the left side you will find his name Richard, not David. For your information, Richard is the name which he utilized in GPS Traders. This thing proves that he is using the same screenshot in both the SCAM systems. 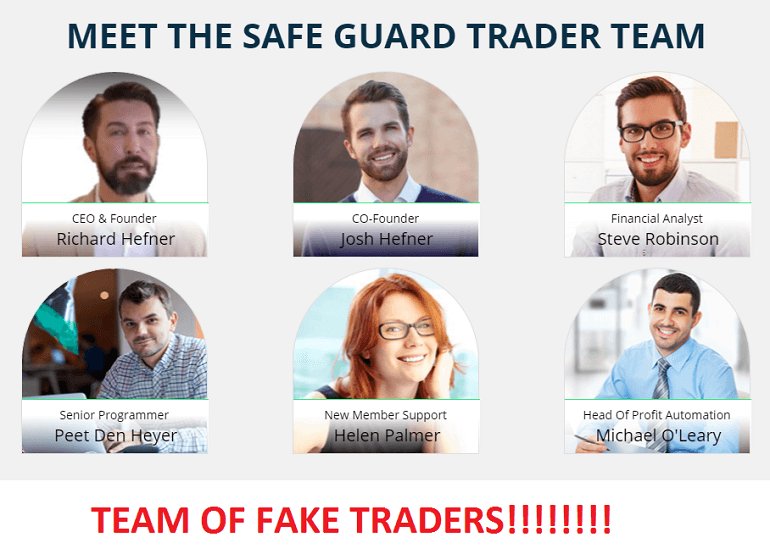 Like GPS Trader, Safeguard Trader also have the team of fraudulent traders; Now we have already proved that the alleged CEO doesn’t exist in a real life and using a FAKE name to SCAM people, then why on earth we trust the trader team of this trading system. So we guarantee that Josh Hefner, Steve Robinson, Peet Den Heyer, Helen Palmer, and Michael O’Leary all of them are fake. Before examining any trading system, we also check popular trading forums and site to confirm that proofs which we found while doing our deep research are genuine. All the sites and forums are full of negative reviews in just three days. After this, we don’t have a single doubt in our mind that Safeguard Trader software is a SCAM. We have provided you enough proofs which confirm that it is another fake trading system which is created by a well-known scammer, and his Safeguard Trader is also a SCAM. So please avoid using it. In case, you still want to invest in Safeguard Trader, go ahead. We would love to listen to your feedback in the comments. If you are looking for more such scam software’s, you can check out our Binary Options Scam page.